For February 2017 India, Guatemala and Sumatra are the flavors we’re mixing. INDIA ROBUSTA, INDIA – DARK ROAST The Robusta bean is very hearty and resilient to weather, bugs, and disease, but its increased caffeine levels plus reduced lipid and sugar content as compared to the Arabica bean make the Robusta often taste like burnt licorice to blackstrap molasses. This bean is all percussion and no melody—woody, earthy, green bitter walnuts with a hint of molasses. This bean is best mixed with other beans to smooth out the taste. However, if you are at 7-11 around 2 am in the morning on a mid-night drive to LA, this coffee is much appreciated. Enjoy with a little cream and sugar. Region: Coorg Districts, India Altitude: 1200-1350 meters Soil: Volcanic Loam CENTRAL GUATEMALA – MEDIUM ROAST Within the spectrum of medium roast we have a wide band from the first popping to the second popping. We let this Guatemalan roast go a little longer into the middle spectrum of the medium roast. We felt that flavors sharped with a little longer lasting taste across the tongue. The sweet cherry will taste a little sharper, and the toffee notes come through after the finish. If we roasted it closer to the second popping an oaky finish would develop. I like this coffee in the afternoon, not as rushed, a little slower drinking coffee, but still carries some caffeine punch. Enjoy around 2PM. 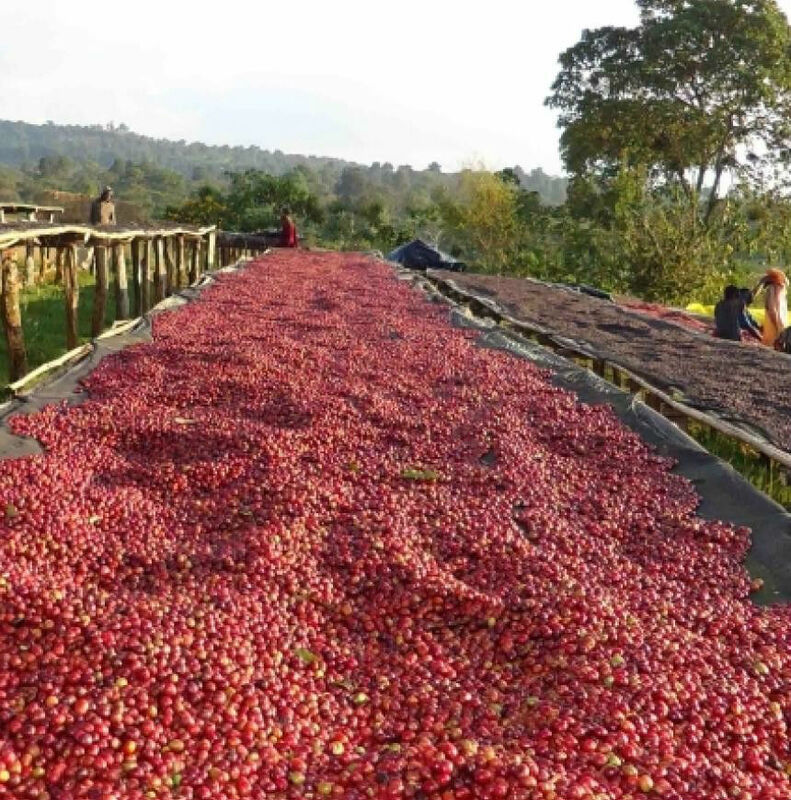 Region: Guatemala Altitude: 1,950 meters Soil: Clay minerals SUMATRA RED – LIGHT MEDIUM ROAST Sumatra is a classic go to coffee always smooth and when roasted light will have a sweet citrusy taste. However, when roasted dark, you’ll taste chocolate dipped dried cherries with a burnt brown sugar finish. Sumatra coffee will evoke a complex earthy, strong floral, and aromatic floral notes with a sweet quick citrusy finish. Excellent morning coffee as you get going. Delicious from the moment it is brewed to the last sip, whatever temperature that might be. Region: Desa Kerawat – Central Sumatra Altitude: 1350 – 1500 meters Soil: Red Soil / Mountainous OUR RECOMMENDATION ON BLENDING – BLEND 321 STYLE Each month as we deliver three unique beans from around the world roasted light, medium, and dark we also recommend a blend. This month’s blend is 123: 1 part India, 2 parts Guatemalan, 3 parts Red Sea. The goal of our blends is to create a cup of coffee that stands on its own before adding sugar or cream. The Sumatra roast brings the sweet notes, blended with the Guatemalan and India for the Caramel and licorice flavors. Try all the roasts individually, appreciating each distinct flavor note. Next, venture out with our Blend 123 recommendation. Finally, blend them to your taste preference. Remember the lighter the bean the more caffeine, the darker the bean the more full body. For measuring the coffee by parts use a tablespoon, combine all parts in a burr grinder, and then give it a shake. Or you can mix the grounds after grinding.